During the month of October, the Oceanside High School cheerleaders Make Strides Against Breast Cancer! We wear pink at all of our games and use pink poms for the entire month. 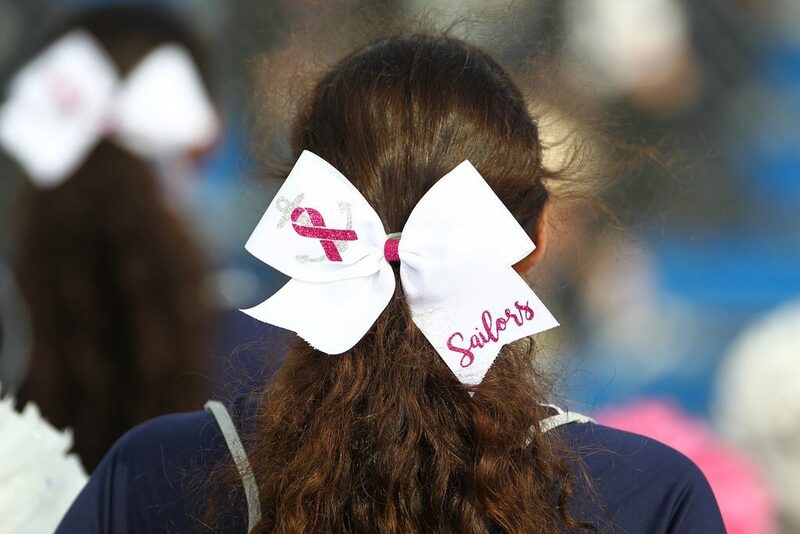 During time-outs, the team sells pink ribbon pins in the stands. This money is then all donated to the American Cancer Society’s Making Strides Against Breast Cancer walk. 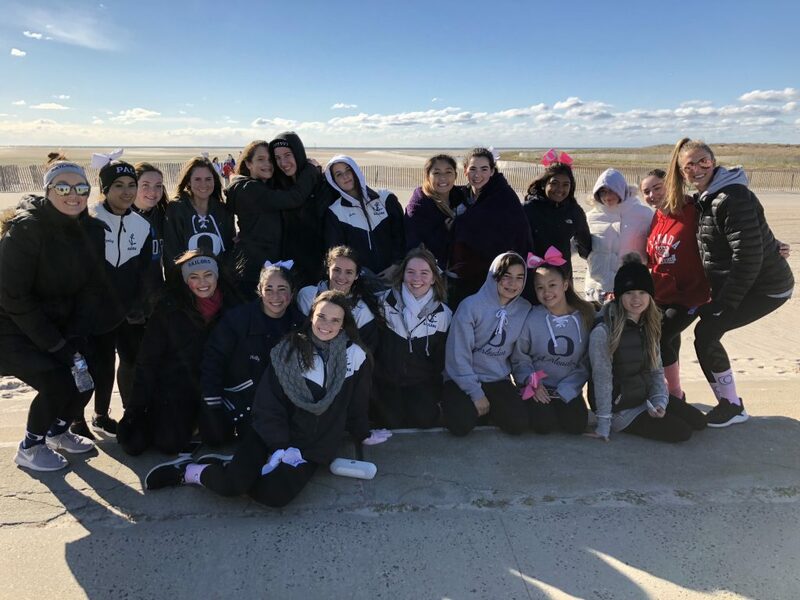 This year, 23 team members, coaches, and parents joined the fight at the Jones Beach Making Strides walk on Sunday, October 21. We had a great time and walked for a great cause! We are almost to our goal of donating $500 – and October isn’t over yet!